I have written over a dozen of posts regarding the bird I love the most, hummingbird, especially Ruby-throated Hummingbird! 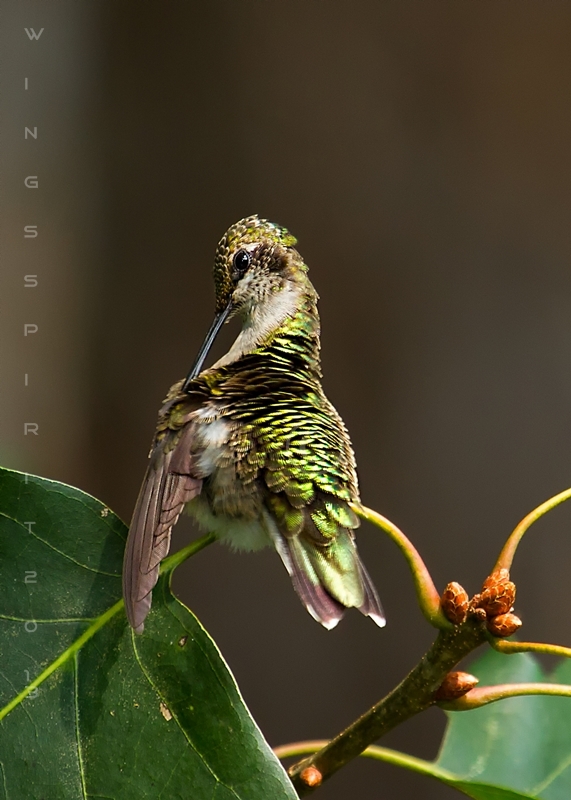 Ruby-throated is the only hummingbird breed in the east coast of North America. Most people don't really notice these tiny birds if they are not birders. Even birders, if they don't pay attention to listen, it's hard to catch a glimpse of these speedy flying birds. 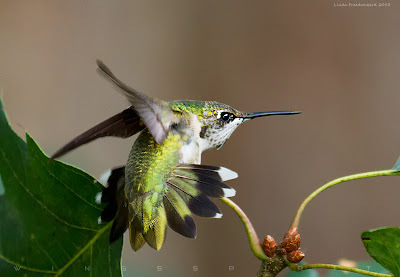 Linda's backyard is full of glittering hummers these days. I admit that my nectar feeders definitely attract their visit. But do you also know that September and October are the migration months that thousands of hummingbirds (and many other migratory birds) travel through Southeastern states to their winter home in central and south America. Putting up nectar feeders definitely help to refuel these tiny travelers. My last two males left on the 5th of September, females and young ones will linger a little bit longer. Click image to enlarge ...are you putting your nectar feeder out?